Old curtains or draperies are losing you money every winter. The industry has advanced so much in the past few years that through new materials and design some products are excellent for retaining heat. Honey comb shades now come in triple layers to provide better insulation. Vogue Window Fashion is offering rebates on the top of the line exclusive Hunter Douglas Alustra collection. It’s honeycomb design traps air in distinct pockets for maximum efficiency. 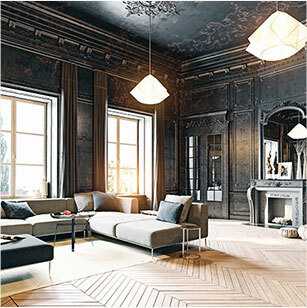 It’s important to understand how different products effect the lighting in your home. Natural light is coveted by home owners as it reduces one’s dependence on artificial lighting. Top down shades mainly provide light while providing privacy at the same time. 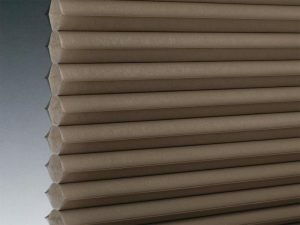 Top down cellular shades are a good option for airy, open, living spaces to allow for as much light as possible. Top down shades are particularly good for first floor/ second floor units where they face privacy issue but would like to let light in. Rooms like an office or potentially a bedroom where this is not as desirable, sheer shadings offer seclusion and privacy. 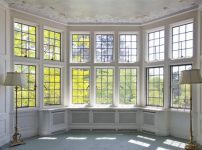 The adaptive use of sunlight can have a significant effect on heating and cooling. This means less of a need for temperature control and lower utility bills. 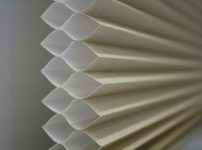 Vogue Window Fashion designers are big on the new solutions from leading solution providers like Somfy and Hunter Douglas. Vogue Window Fashion has been a leader in the transition of home automation solution from something that was pricey and complex to an affordable and feature rich solution consumers are rapidly adopting. Now you don’t have to struggle to adjust shades that are hard to reach. Smart shades technology allows you the convenience and simplicity of controlling your shades at a touch of a button or from anywhere in the world from your mobile phone. 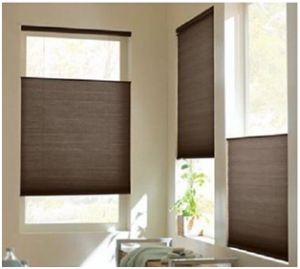 Optionally, you can set a schedule to open and close your shades – realize on benefits such as energy savings, home security and save your furniture from too much sunlight.